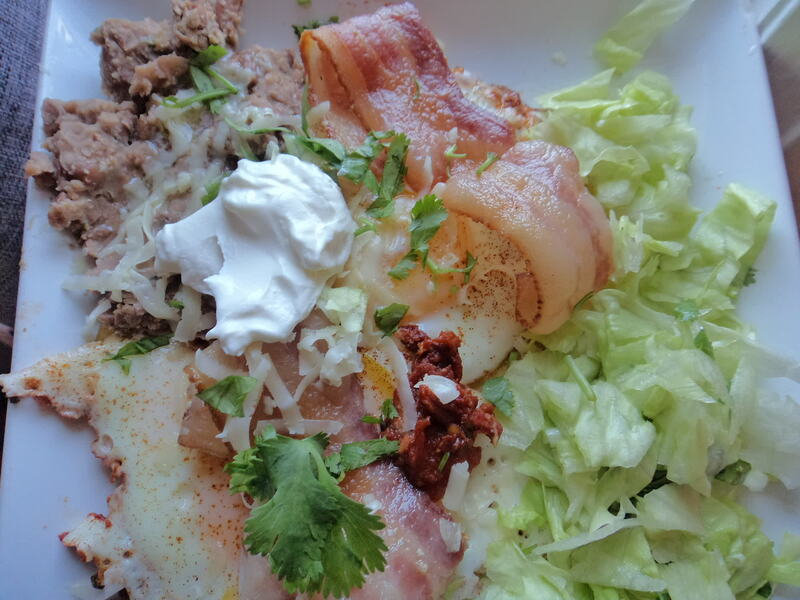 Breakfast eggs and bacon with refried beans and salad. 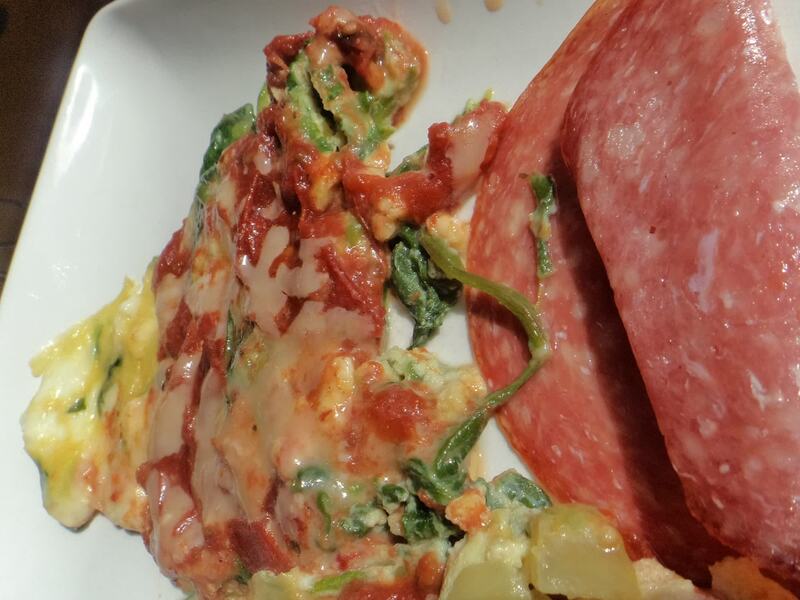 Tomato and cheese covered asparagus with salami. 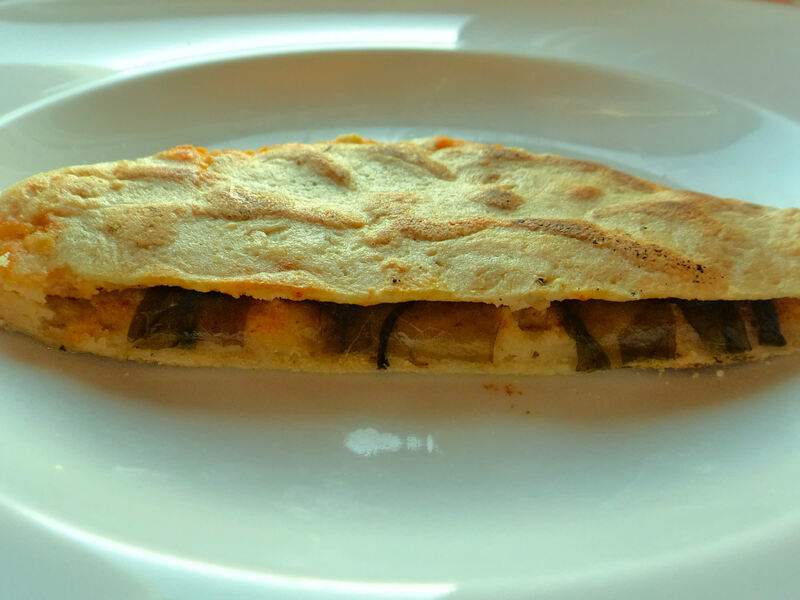 Mexican flatbread stuffed with local lettuce and cheese.